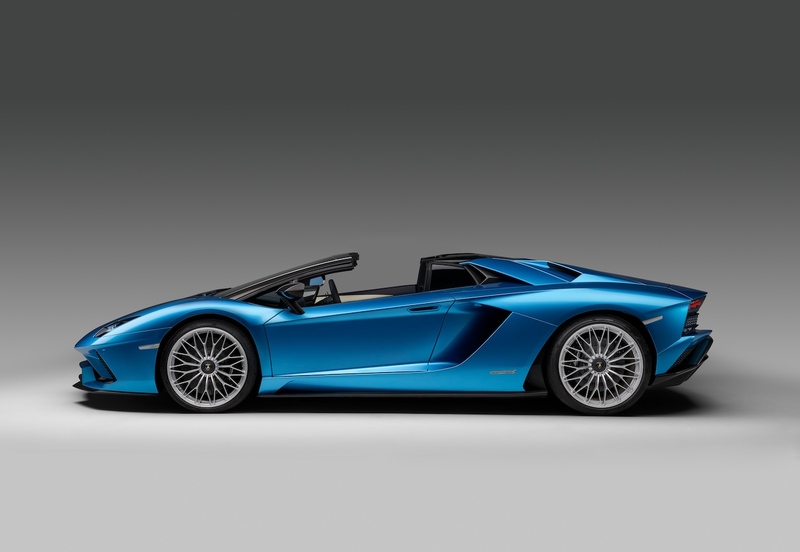 Lamborghini Aventador S Roadster was unveiled at last Frankfurt Auto Show! 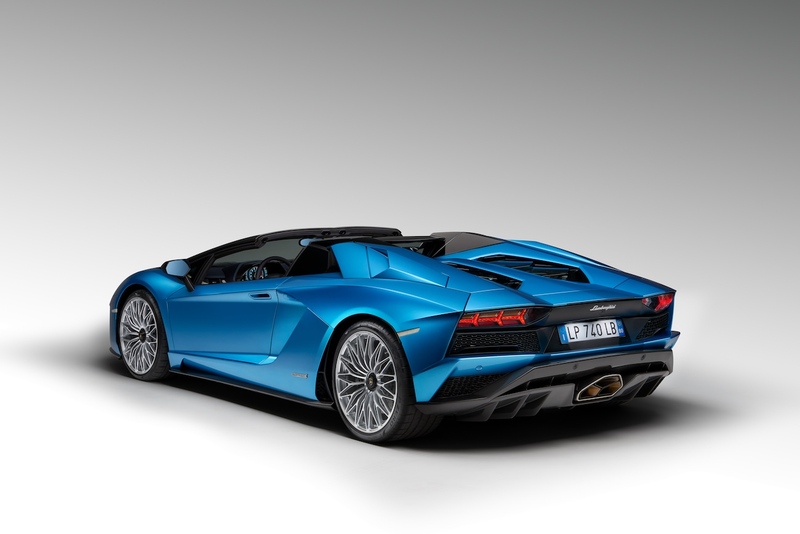 Now Reading : Lamborghini Aventador S Roadster was unveiled at last Frankfurt Auto Show! 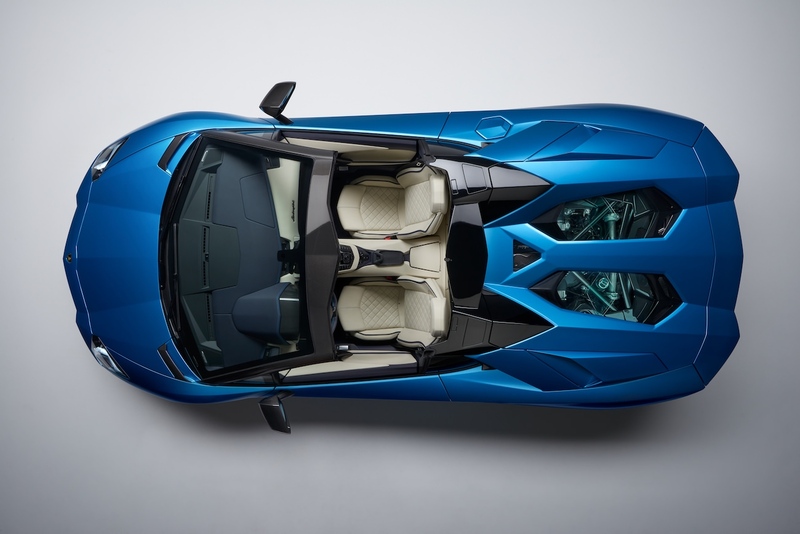 Lamborghini has chosen a first choice event to introduce its last model: Lamborghini Aventador S Roadster at last Frankfurt Auto Show. New colors, aerodynamics and mechanics improvements but also unique bespoke programs…The Milliardaire tells you all about this new roadster! Take all Aventador S coupe’s quality, take off the roof and you will have a preview of Aventador S Roadster’s capacities. Also made for track or road use the new supercar appears to be all so powerful even if the roof is open. No aerodynamic compromise was made to create this new jewel, including passenger’s comfort. 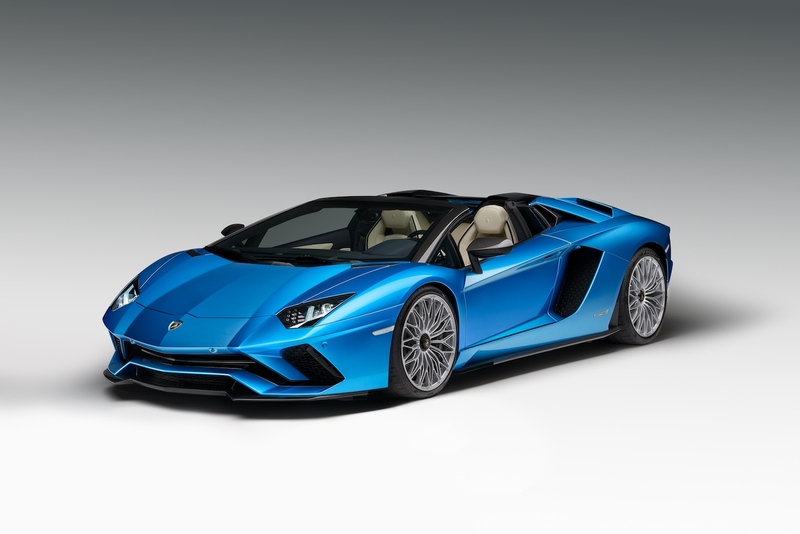 Moreover Aventador S Roadster is the only convertible equipped with the mid-rear engine from Lamborghini: the famous 6.5L V12 Super Sport that delivers 750 ph and is able to reach an impressive top speed of 350 km/h. Beware of your brushing! Then the supercar can achieve 0 to 100 km/h in only 3 seconds thanks to the ISR seven-speed transmission. The design has also been largely improved even if you still can easily recognize Lamborghini DNA. 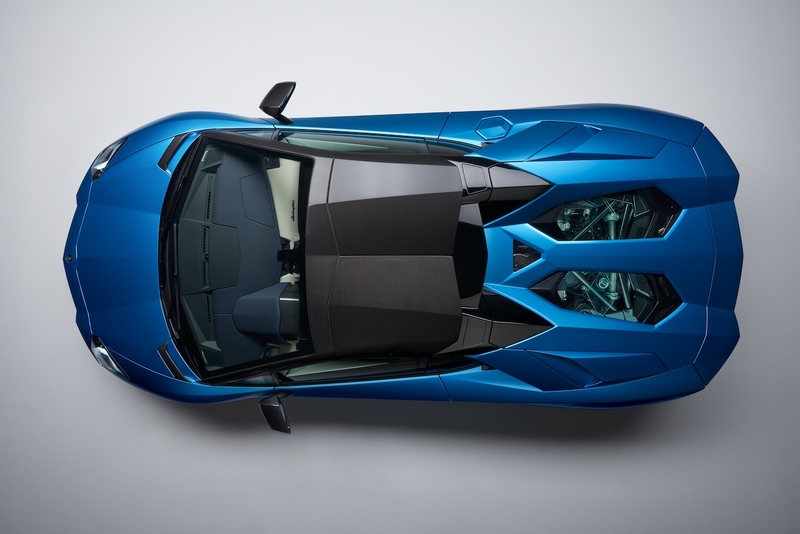 Aventador S Roadster not only is sportier but the line that links the roof to the rear engine glass now appears in two tones with a matte carbon finish. Cherry on the cake, you can also ask for a transparent glass on top of the engine! The open top ensures space and comfort to passengers and also appears in carbon fibre with a glossy black finish as an option. A unique style that can be seen on many other equipment. 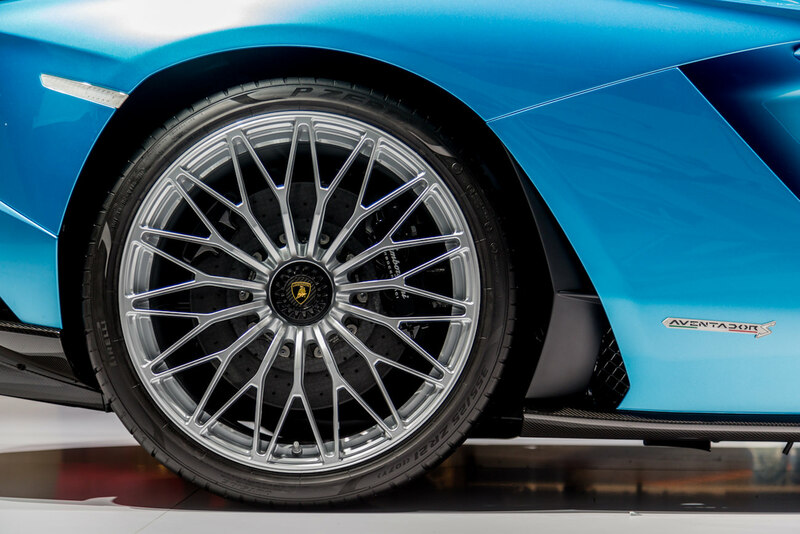 The very Aventador S Roadster model introduced in Frankfurt was revealed in Blu Aegir to remind ocean: both powerful and yet so peaceful. The side mirrors and front glass frame are made with high-glossy carbon fibre as well as front and rear bumpers, side skirts and air intakes. 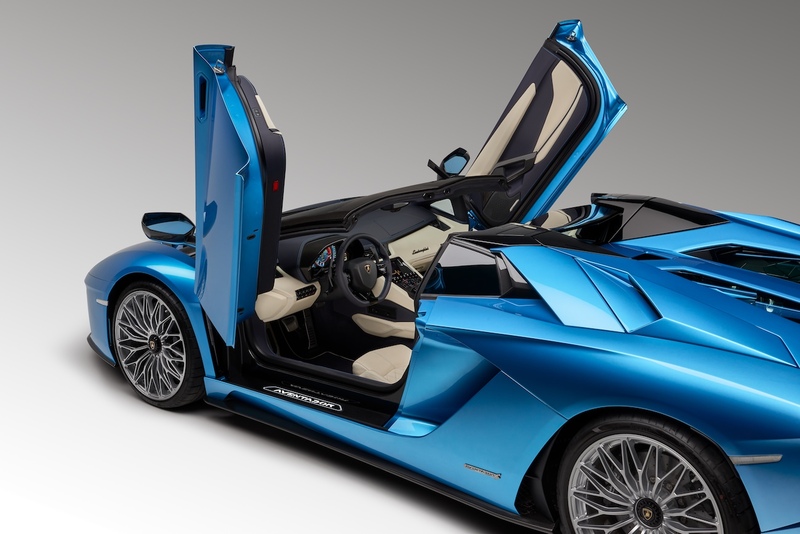 Inside, the car is in Blu Delphinus and Bianco Polar, an example of the numerous color matches offered with Aventador S Roadster. You can also choose a carbon fibre pack but the standard model is already built with Alcantara and mat black carbon. Concerning performances, Aventador S Roadster is full of remarkable improvements too. Four-wheel drive, new EGO driving modes that offers a personalized driving experience depending on what you like the most with the three other modes: Strada, Sport or Corsa, and finally new suspensions. Aventador S Roadster corresponds to the brand’s “Total Control” concept that ensures a better driving experience and greater performances. The supercar’s agility has been reinforced at low speeds while it appears to be steadier at high speeds. Finally, the car is equipped with a digital TFT dashboard that can be personalized depending on your needs, and Apple CarPlay as standards. If you felt in love with Aventador S Roadster too, you can begin to save your money before first deliveries in February 2018 because this model will cost 313.666€ taxes excluded! 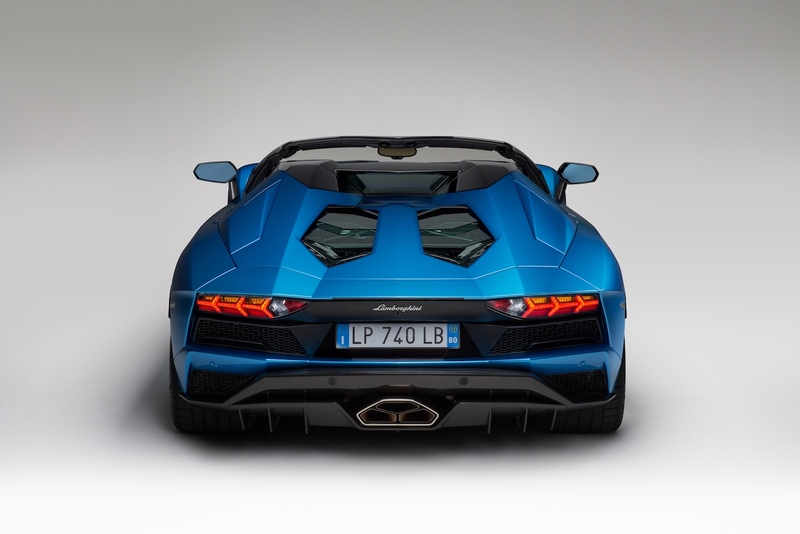 Share the post "Lamborghini Aventador S Roadster was unveiled at last Frankfurt Auto Show!" Stay in touch with the luxury! I accept to receive news from The Milliardaire by email.